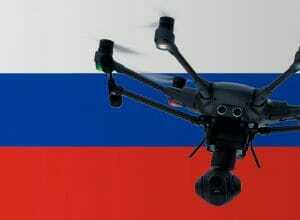 In Russia, drones must be registered (www.favt.ru) when they weigh more than 30 kilograms. In the case of lighter drones, the duty to register has been dropped in summer 2016. Maximum flight altitude: So far I have not heard of any altitude restrictions for drones in Russia. Maximum horizontal distance and FPV: Currently unknown to me. However, you should fly your drone only in sight. Compulsory insurance: A drone insurance is currently not required in Russia. However, I strongly recommend that you only fly with a corresponding security a copter. Maximum take-off weight (MTOW): From 30 kilograms, Multicopter must be registered at the FAVT. Distance to airports: Currently, no information is available to me. Please, keep enough distance nevertheless to Russian airfields. Other safe distances: Currently no information is available to me. Flight bans: Flights are not allowed on the Moscow Kremlin and Red Square. Time of operations: Currently, I have no information. Specific regulations: For drone flights in Russian national parks, you need permission from the park administration. Regulations for commercial pilots: As far as I know, there is no difference between the purpose of use of drones in Russia. We have researched the listed drone regulations for Russia to the best of our knowledge. We can not guarantee the correctness of the information. If you want to be on the safe side, please contact the competent aviation authority. Alternatively, you can also ask the embassy in your country for further information about the regulations. Please leave us a comment when you receive news and/or gain experience with your copter in Russia! As it is now in Moscow, there is no problem flying a small drone (Mavic). Police has no objections with me operating a drone during Moscow Marathon event. Where on the (www.favt.ru) website do I actually register my drone? I’ read that the laws were changed in Russia in July 2017 and was worried about bringing a drone into Russia.